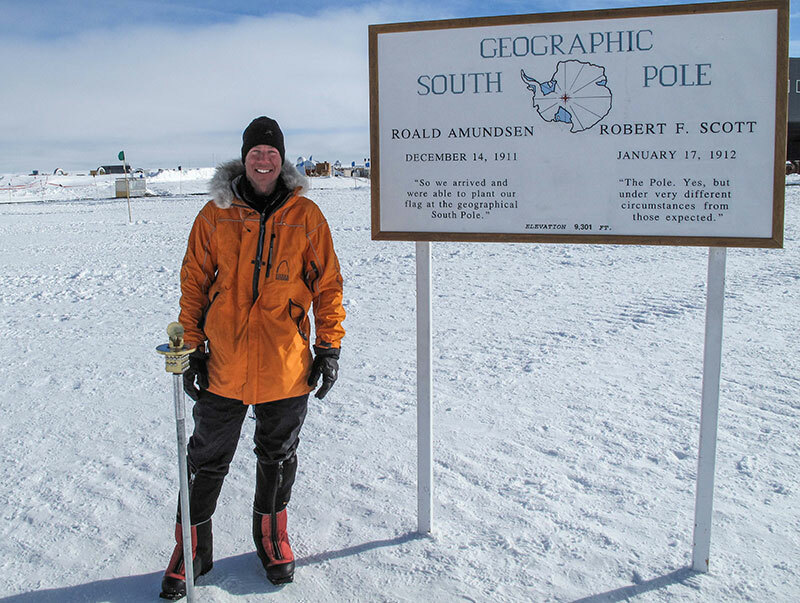 In 2010, Ryan and Cecilie Skog completed a 1,117 mile/1,800 kilometer Antarctic ski expedition over 70 days from Berkner Island in the Ronne/Filchner Sea to the South Pole, continuing to the Ross Sea to complete the first ski traverse of Antarctica without resupplies or the use of kites. 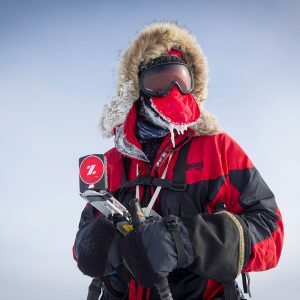 He and Eric Larsen skied unsupported to the North Pole in Spring 2014, completing the journey in 53 days, making Ryan the first American to complete the Adventurers Grand Slam with unsupported full ski trips to both poles. 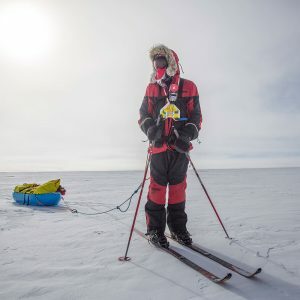 He is the first American to ski unsupported full length trips to both poles and has also guided a 44 day full trip to the South Pole via the Messner/Fuchs route. 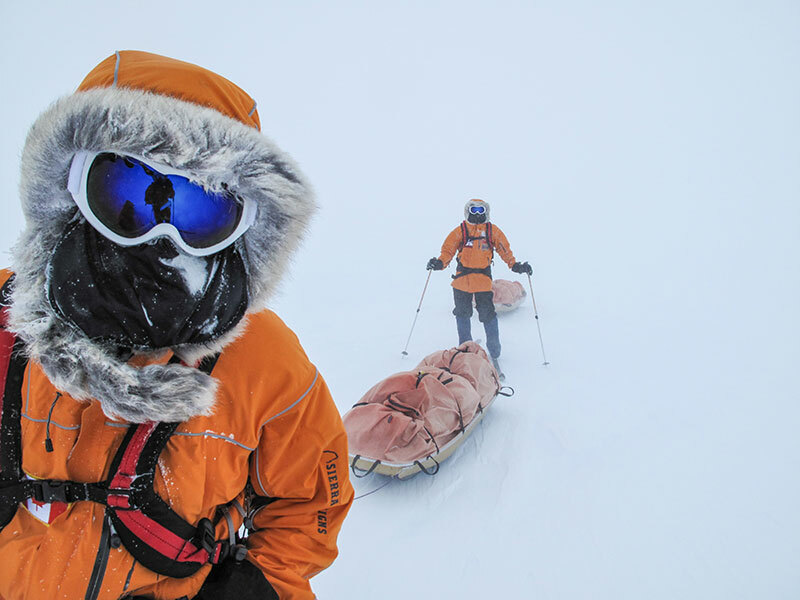 Guide staff with multiple South Pole ski expeditions and extensive experience leading expeditions on Antarctica. 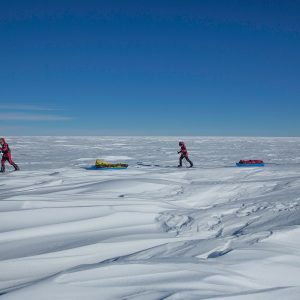 We plan on running a Last Degree South Pole Ski expedition in the 2018/2019 season. Contact us for details on joining the trip. 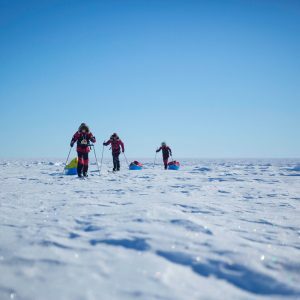 Our team of guides brings significant polar expedition skills from past South Pole, North Pole, and Greenland expeditions. 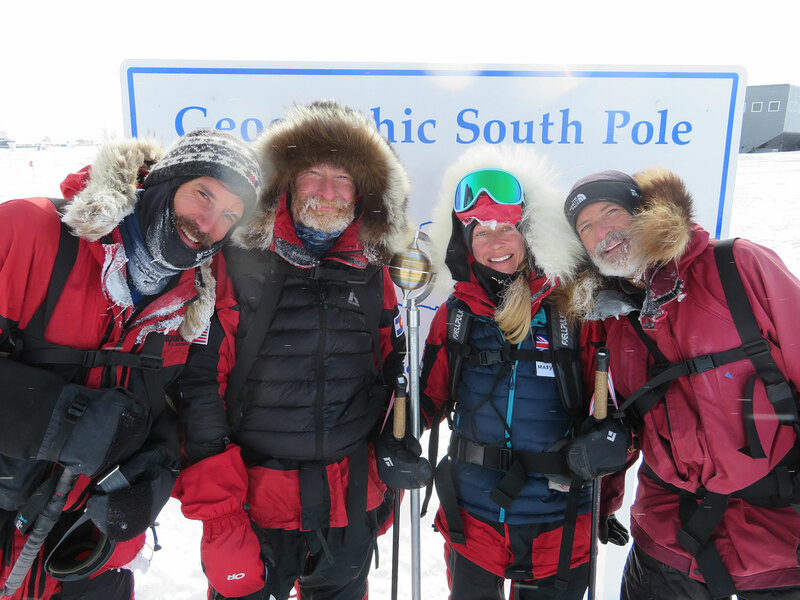 Want to learn more about skiing the Last Degree to the South Pole, with the premier polar guides? Contact us today and we will give you all the info you need. 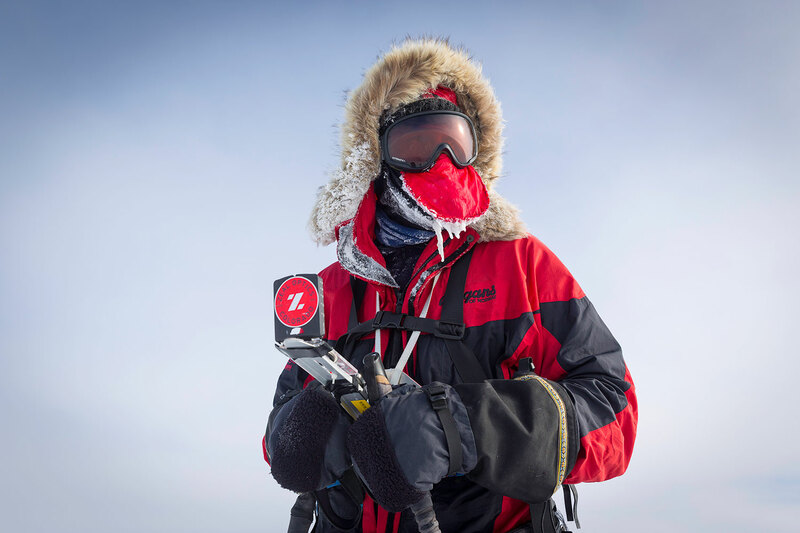 The South Pole Last Degree ski expedition is an incredible adventure and a huge accomplishment set on the coldest, windiest, and driest continent on earth. 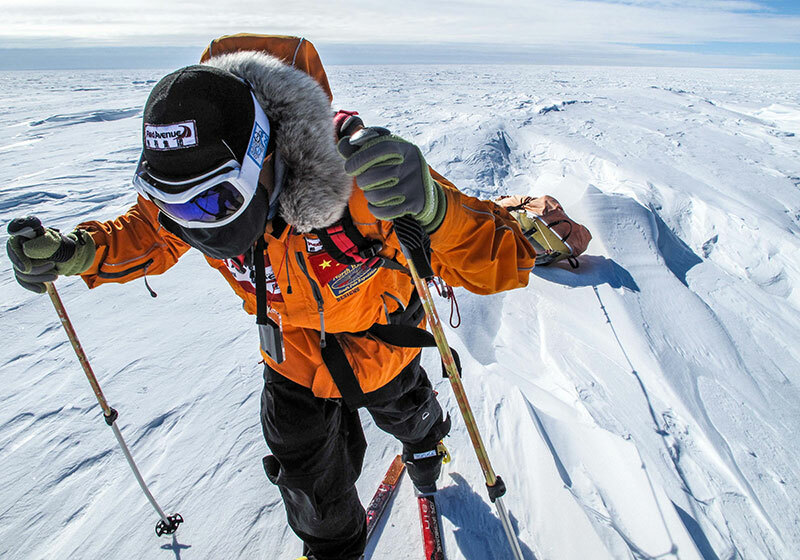 Join our qualified Mountain Professionals guides for a ski trip covering the last 60 nautical miles to the South Pole. 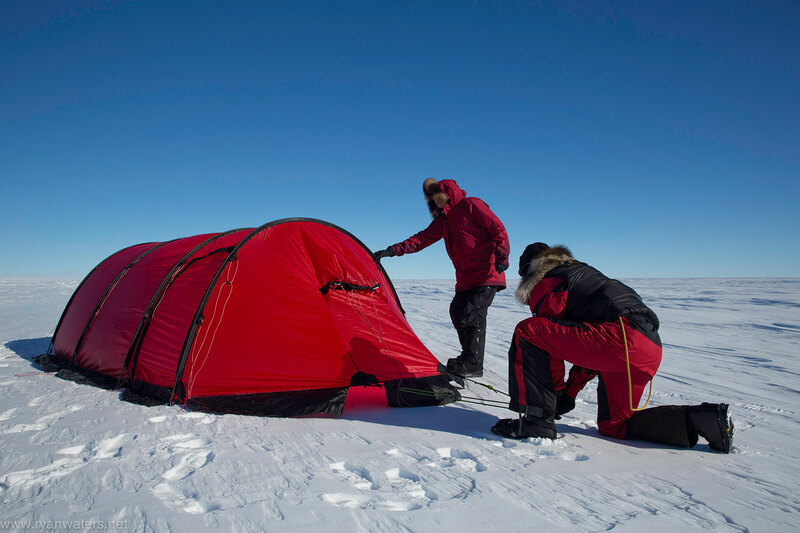 Our team is well positioned to offer the highest level of polar guiding experience. Our staff includes polar adventurers with in-depth knowledge gained on multiple North Pole, South Pole, and Greenland expeditions. The trip itself begins in Punta Arenas, Chile, where we prepare our expedition sleds, food, fuel and supplies. We take great care in our pre-trip planning to develop a strong and efficient team. It crucial to have a well prepared, highly functional group for travel in Antarctica. We fly from the southern tip of Chile to Union Glacier on the continent of Antarctica where we will take some time to acclimate to our new surroundings. 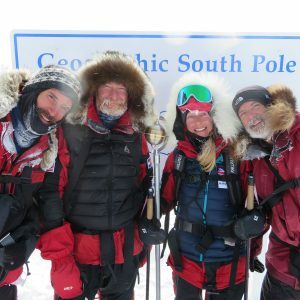 This allows an enjoyable and beautiful “warm up” ski tour around the surrounding landscape prior to the flight to our starting point at 89 degrees South latitude or approximately 60 nautical miles from the geographic South Pole. Our team of guests and guides will travel across large expanses of wind carved snow and ice features on the surface of the Antarctica plateau. 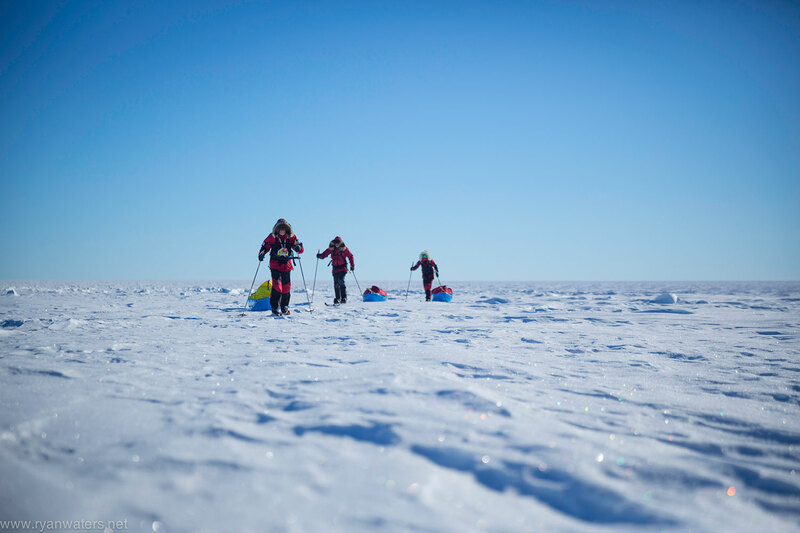 Each day will involve melting snow for water, making meals, planning our route for the day by following a compass bearing, and skiing as a team for up to eight hours. We will take care to ease into our schedule as we have jumped up to about 9,000 feet above sea level. Each day will include several sections of skiing in blocks of 45 minutes to slightly more than an hour. Our breaks are a time to rehydrate and eat throughout the day and eventually reach camp in the late afternoon. 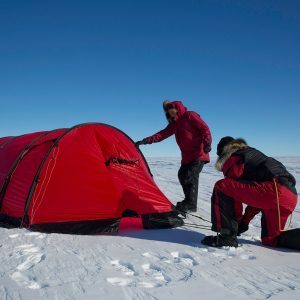 As a group, we will set up tents and begin melting water for dinner and enjoy the comforts of tent life as the sun circles around above the horizon in 24-hour light of the Antarctica Summer and spot the South Pole station out on the horizon and feel the anticipation of success at the geographic South Pole! 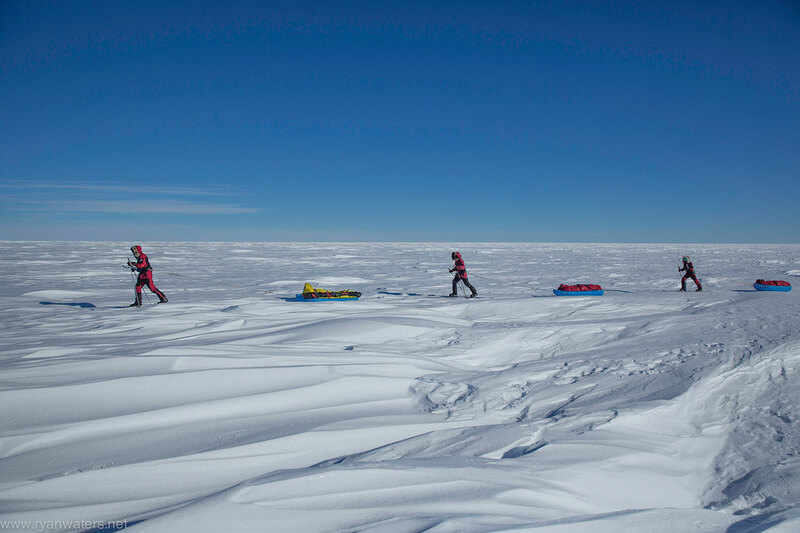 Our goal will be to reach the geographic South Pole in good style and enjoy a safe, successful visit to Antarctica. Day 1: Arrive Punta Arenas, Chile. Team transport to our hotel. Day 2: Prepare and check equipment. We will have time on this day to visit the sites in Punta Arenas. 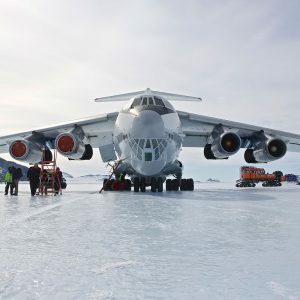 Day 3: Briefing and slideshow provided by our local logistics operator which will cover all aspects of the flight to Union Glacier, Antarctica and the onward flight to 89 Degrees South. 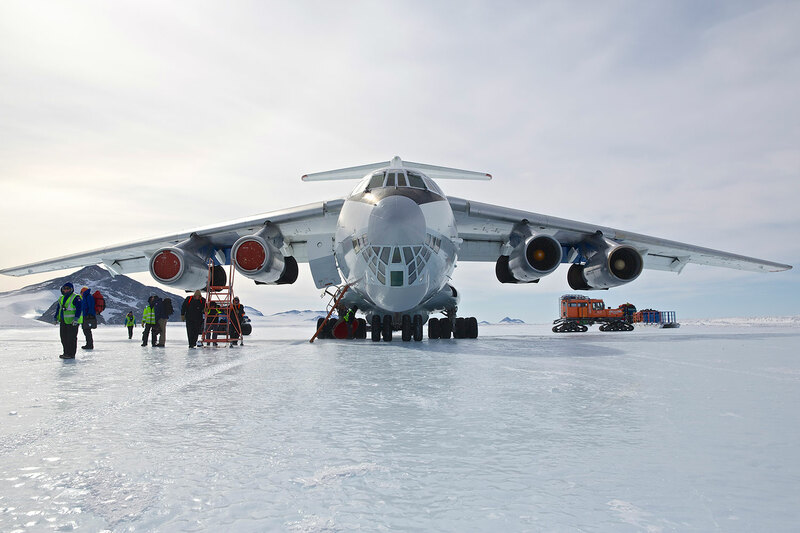 Our equipment is collected at mid-day for loading onto the Antarctica bound aircraft. From this point we are on standby for our flight to Union Glacier. Day 4: Depart for Union Glacier Weather dependent we will fly approximately 4 hours south and land on the blue ice runway at Union Glacier. Our team will put up our sleeping tents and be treated to a meal in the base camp. Day 5: Practice day on the ice. 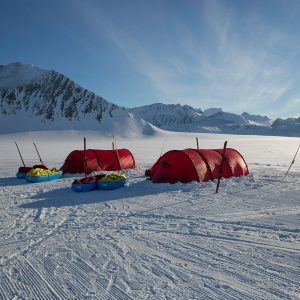 We will ski around the Union Glacier camp and get acclimatized to our systems and the environment. We fly by Twin Otter aircraft to our start point 60 nautical miles from our goal and have a short ski day. 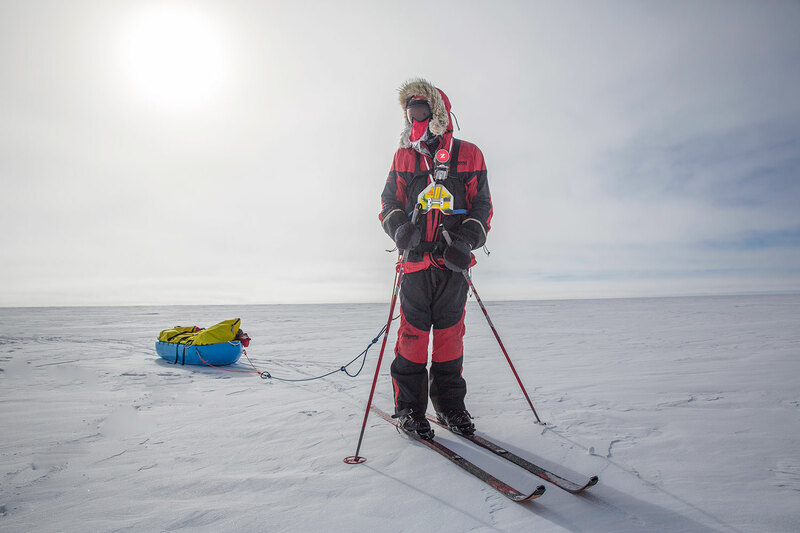 Day 6-15: Ski to the South Pole. Day 16: Fly to Union Glacier. Fly in the Twin Otter aircraft back across the immense plateau and reach the comforts of Union Glacier camp where we have a big celebration and enjoy the achievement. Day 17: Fly to Punta Arenas. We will be on standby ready to fly back to the mainland Chile. Once we get word, we pack up our bags onto the transport and board the plane for Punta Arenas. We are taken back to our hotel for a very welcome shower! In the evening we will enjoy a celebration dinner in one of Punta Arenas’ excellent restaurants. Day 18: Depart Punta Arenas for home. Flights from Punta Arenas, Chile to Union Glacier, Antarctica and return. 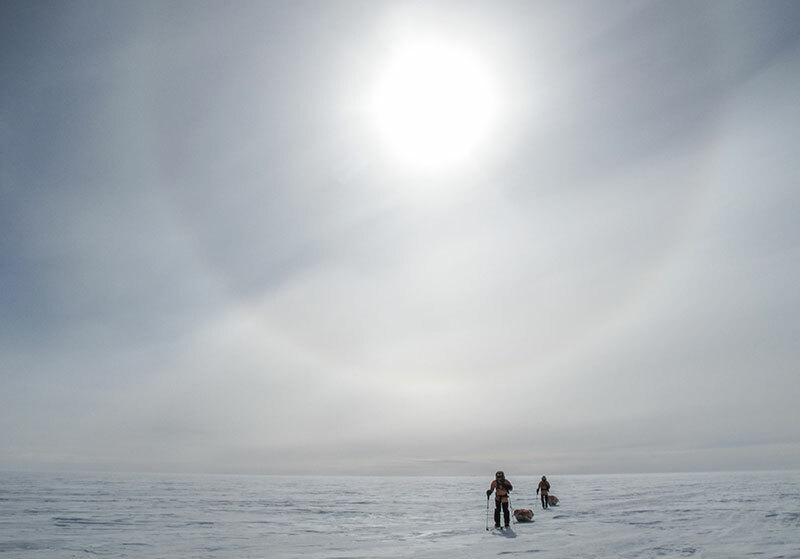 Flights to start point and return from the South Pole. 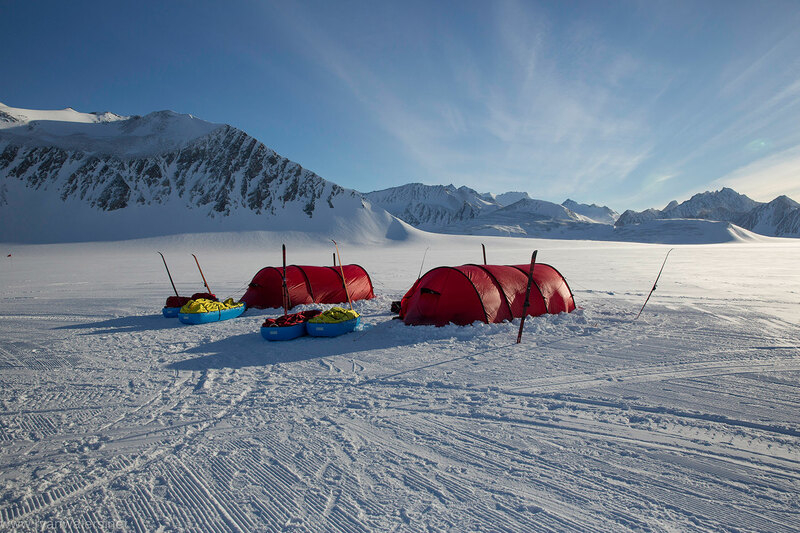 Accommodations in Antarctica in Hilleberg Keron 4 GT tents. Personal specialized gear – skis, binding, sleds, pulling harness. All meals according to the program after leaving Punta Arenas. Group equipment, tents, stoves, fuel, safety, first aid, etc. Communication, satellite phones, daily dispatches. Dispatches with photographs and abilty to email via satellite system. International Airfare to and from Punta Arenas, Chile. Food, beverages, while in Punta Arenas, Chile. Lodging costs in Punta Arenas, Chile. Cancellation, Medical, and travel insurance (mandatory).